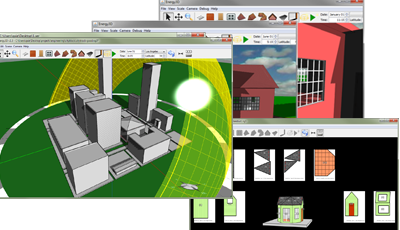 Energy3D presents an easy-to-use 3D user interface for designing and making model buildings. 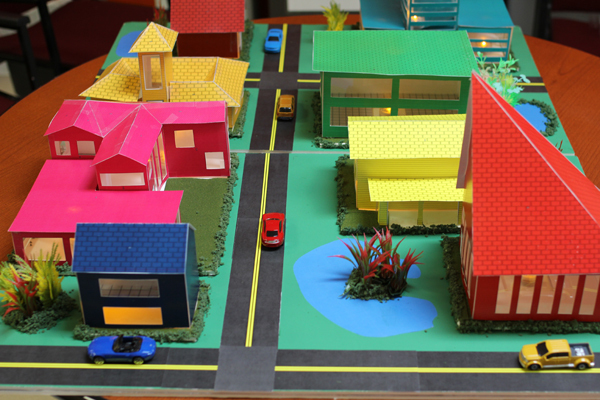 Students can build a house, a skyscraper, and even an entire village. 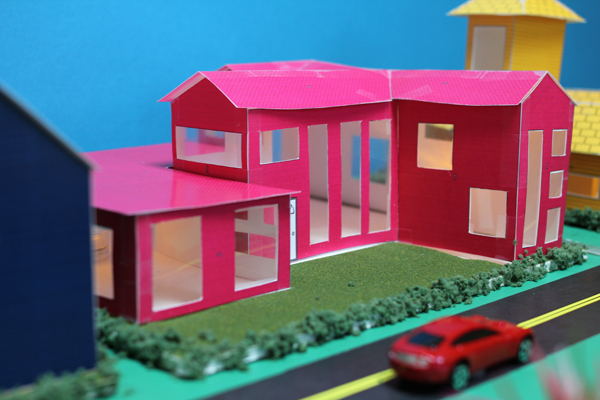 Energy3D allows students to “print out” a design and use it to build a physical model. 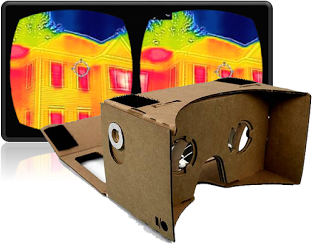 Visualize the invisible energy transfer processes in everyday life using handheld IR cameras. 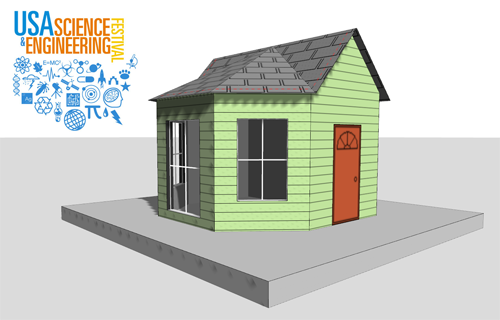 Design, construct, test, and improve a model house step-by-step to achieve energy efficiency. 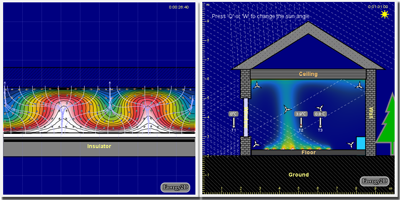 (4/11/2018) You are invited to join a global community of Energy3D users to model existing or design new solar energy systems and contribute them to the Virtual Solar Grid to crowdsource an unprecedented fine-grained, time-dependent, and multi-scale computational model for exploring how much of humanity's energy need can be met by solar power. 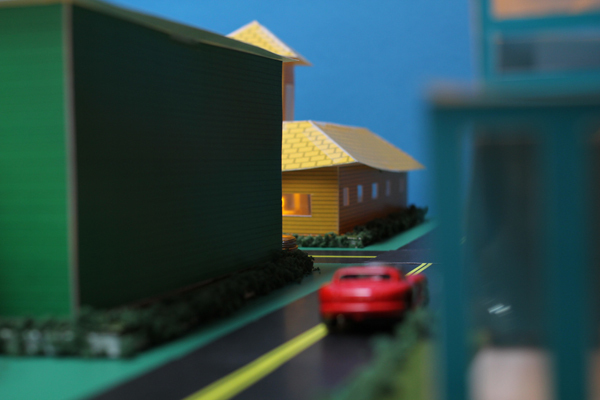 (10/19/2016) The National Renewable Energy Laboratory (NREL) and CLEAResult announced that the Infrared Street View Project was the winner of the 2016 JUMP Smartphone Innovation Challenge. More information about the project can be found in this blog post. 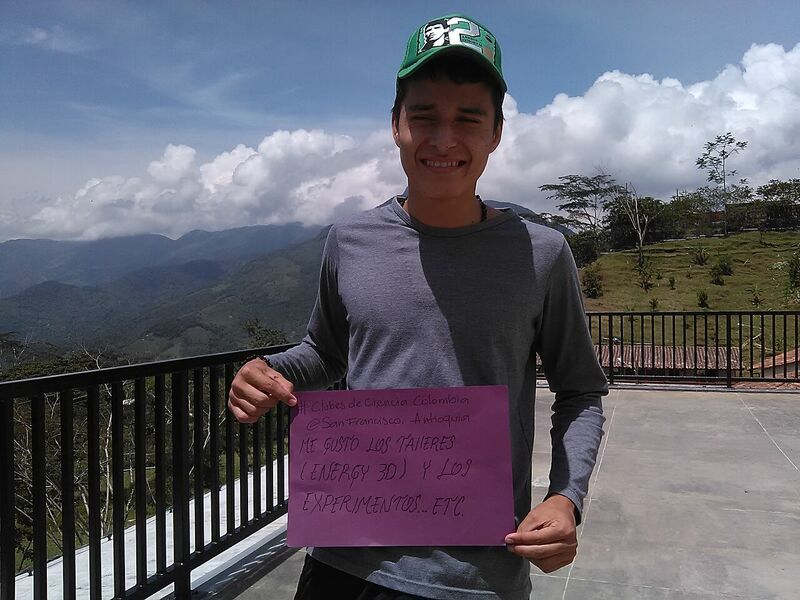 (10/9/2015) Camilo Vieira Mejia, a PhD student of Purdue University, brought our Energy3D software to a workshop of Clubes de Ciencia, an initiative where graduate students come to Colombia and share science and engineering concepts with high school students from small towns around Antioquia. 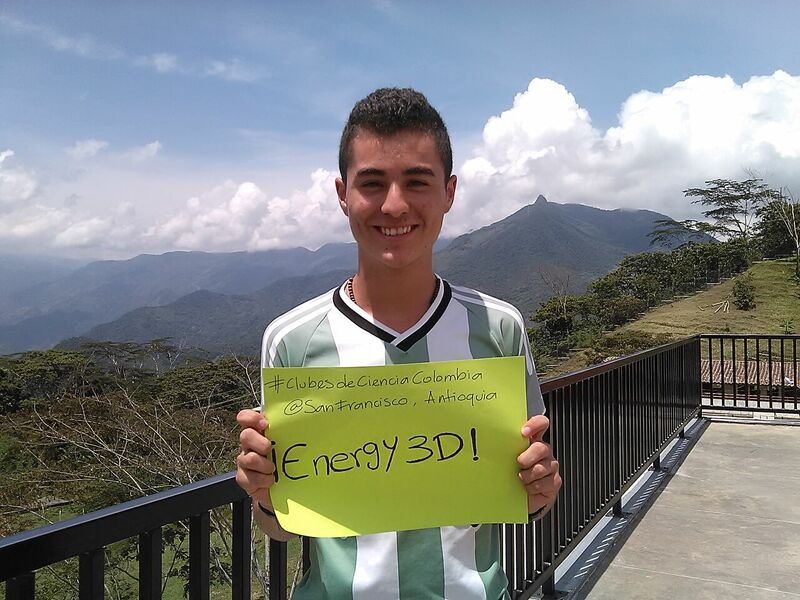 According to him, students "are truly enjoying Energy3D!" Put engineering design processes under a "big data microscope"
(10/1/2013) How do people learn engineering design? How do we know they are learning? 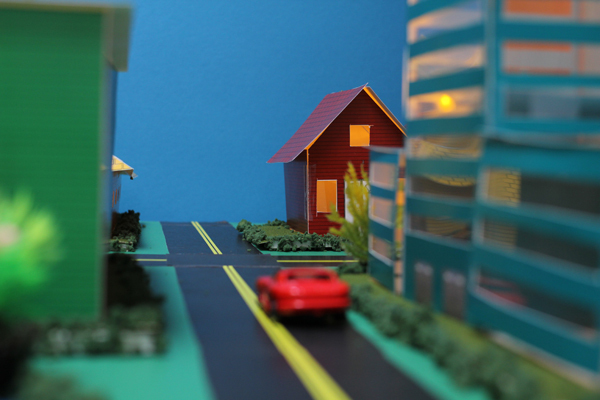 What are the conceptual and procedural bottlenecks? What are the best instructional strategies to overcome these bottlenecks? Before we can answer these questions, we must develop methodologies for capturing and measuring student performance. 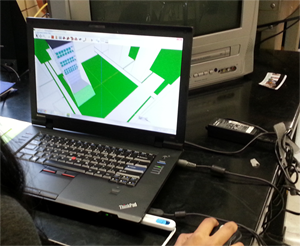 Utilizing our Energy3D CAD tool, we are developing computational process analytics that can reveal student learning patterns from what they do, what they make, and what they say. 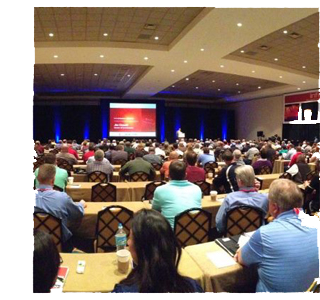 (11/6/2012) Dr. Charles Xie delivered a keynote speech at the Opening Plenary of InfraMation, the world's largest conference on infrared imaging. Charles presented several original scientific discoveries based on IR imaging and proposed the concept of educational imaging. We are proud to be at the leading edge of applied IR imaging and glad that our contributions have been recognized by the industry. Here is a link to his presentation slides. 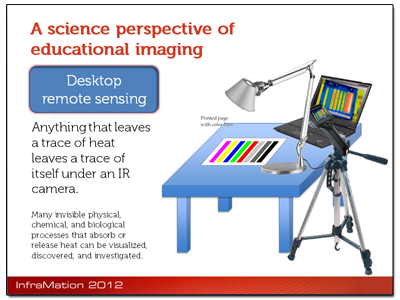 Also check out our Infrared Tube website for IR imaging videos for science experiments! 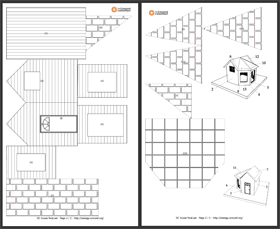 (4/28/2012) The following images link to two PDF files that contain a template for cutting out and assembling the model house shown to the right. They just have different textures. Choose one to download and print. 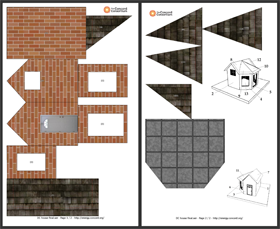 Then assemble the house yourself. For best results, print them on cardstock. 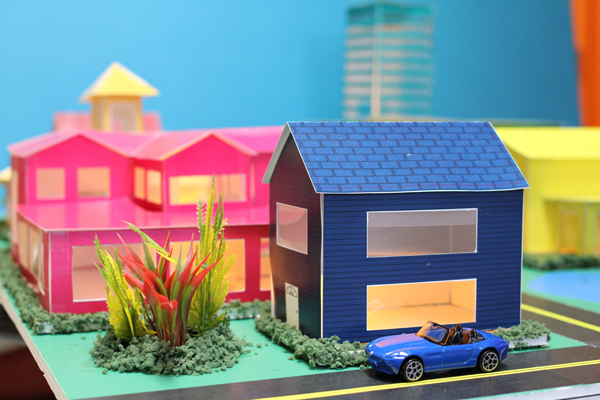 Using "Legal" size cardstock will result in a larger house that may be easier to build. 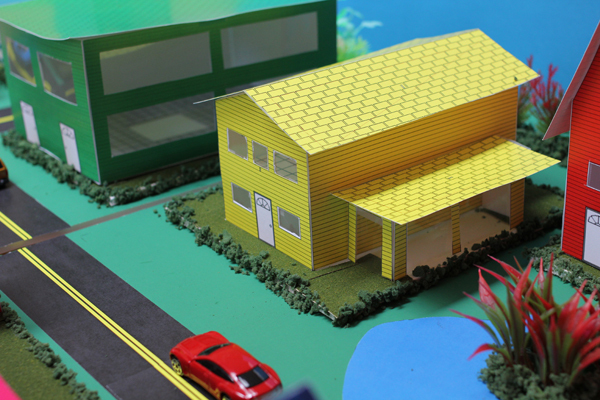 If you want to design and make your own model houses, go to our Energy3D website to download the software, watch a tutorial video, and get started! 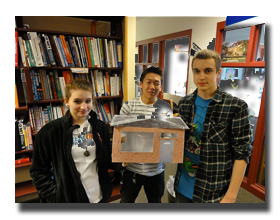 (4/20/2012) Huge thanks to Jeanne Hurtz, our village of model houses is ready! 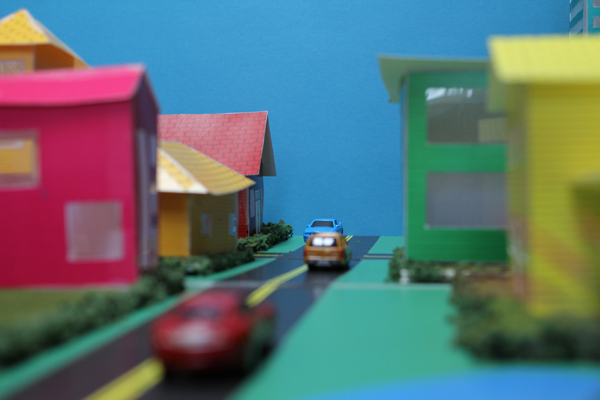 Click an image to see an enlarged picture. 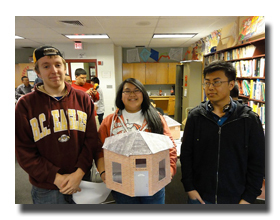 (2/18/2012) Fifteen students from Fitchburg and Gardner in Massachusetts participated in a one-day activity at Fitchburg High School hosted by Mount Wachusett Community College. 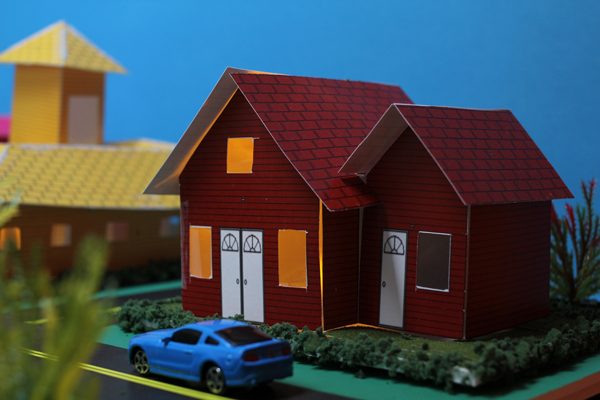 They designed model houses using our Energy3D software, printed and assembled them, and performed energy inspection using IR cameras. 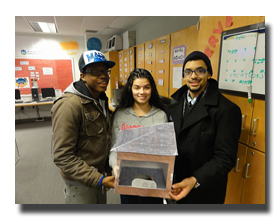 According to Andrew Goodwin, Director of the Gear Up Program at Mount Wachusett Community College, "it really was a great activity for the kids and I know they surely appreciate it and had a great time. I know that I was really impressed by the caliber of the program and I hope that in the future you will be willing to come out and do other activities with our group." 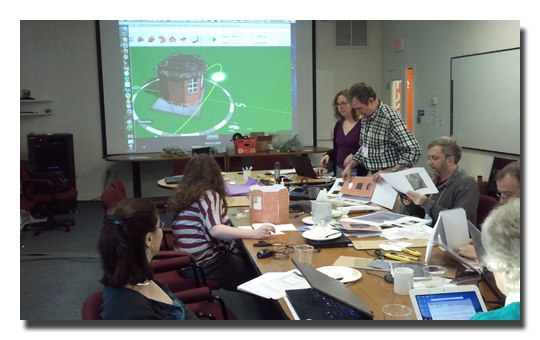 (1/20/2012) Teachers from Arlington High School, Bromfield School, Nashoba Regional High School, and North Reading High School participated in a professional development workshop to prepare for our large-scale field tests in the spring. 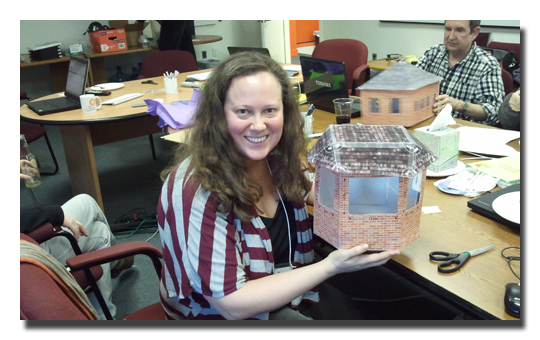 Each teacher ran the experiments and simulations. 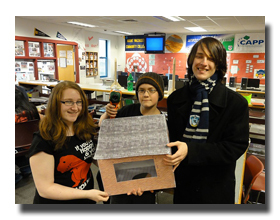 Each also designed and built a model house. 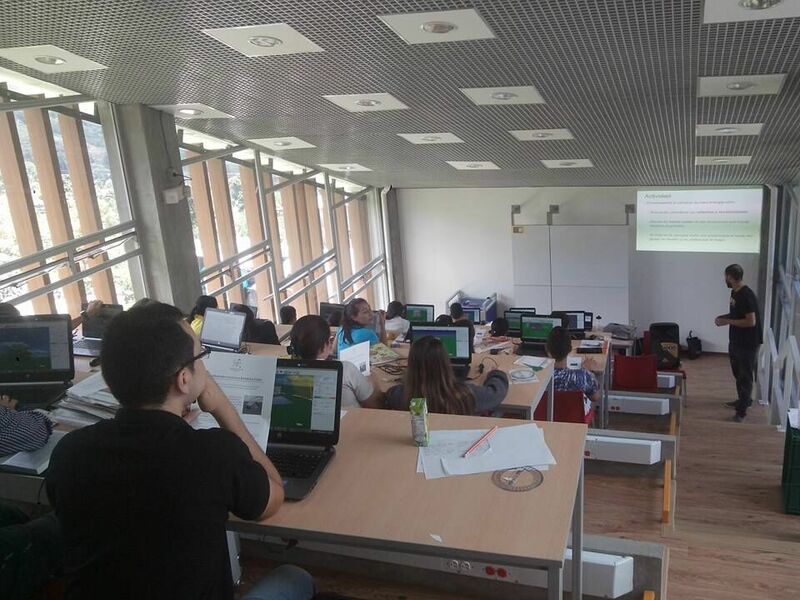 In the field tests scheduled in the spring with the classes of these teachers, we will test our research hypothesis that CAD/CAM tools empower students to explore the design space more efficiently and more deeply. 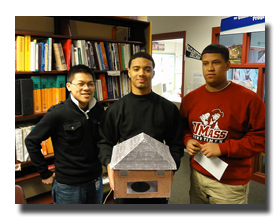 (12/10/2011) In a pilot test, 15 students in an engineering class at Arlington High School used our Energy3D software to design and make model houses. 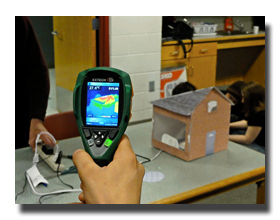 This pilot test was used to examine how well Energy3D worked in the classroom. 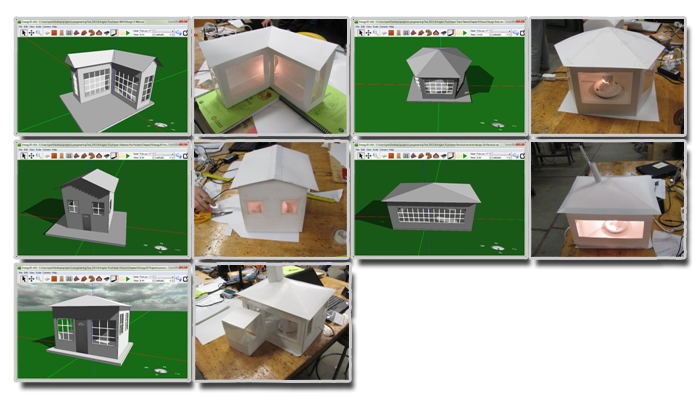 Below are all the computer models the five teams designed with Energy3D and the corresponding model houses made using Energy3D's printing feature. 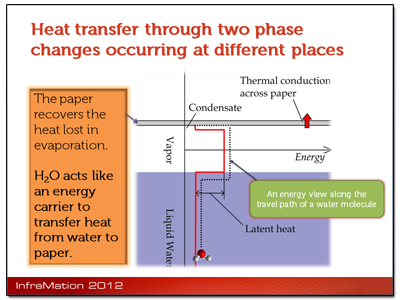 © 2010- The Concord Consortium. 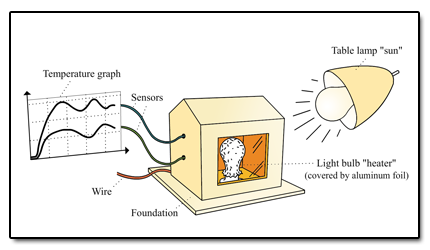 This work is funded by the National Science Foundation under grants 0918449, 1304485, 1348530, 1503196, and 1512868. Any opinions, findings, and conclusions or recommendations expressed in the materials associated with this program are those of the author(s) and do not necessarily reflect the views of the National Science Foundation.